Could you help the Rollright Stones? Did you know that management of our local megalithic monument (doesn’t everybody have one?! ), the Rollright Stones, is entirely voluntary? Volunteers at the site keep the area clean, act as wardens – collecting entrance fees and selling guidebooks and postcards – and providing information to the public. The Rollright Trust, which is responsible for conserving the site, is keen to hear from people who could spare a couple of hours to help out on site. Could this be you? 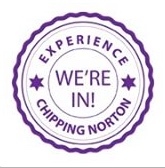 If you might be interested, look out for the new edition of Chipping Norton News for more information. It’s on sale from Tuesday 27 August.